here's what i've done replaced: low pressure pumps in both tanks ,new front tank,new hi pressure pump in frame rail, new distributor modjail, rotor,cap,wires, new coil, new fuel relays,new oil pressure shut off sender, sea foam in both fuel tanks. engine starts,fuel pressure @ the rail is 42 psi, runs 1 or so min that pressure falls to 12 psi eng stops, won't start for about 1\2 hour or so,than same thing. any one know anything else i can do? You need to do some more testing. Do this complete battery of tests. I have spark at plugs , as stated replaced cap rotor al plug wires,plugs, modgell in distributor, and new coil. spark is blue\white and will travel though air to ground over 1& 1\2 inch. seams very strong now. injectors, test with noild light. also blinks as running. fuel pressure as i also stated is approx 42 psi, even running, but starts to drop down just before eng quits a about 12 psi. if you try starting right away, it won't have any fuel pressure. but if you wait maybe 1 hour than it will start and all of the above happen the same. the truck as sat out side in all weather for years after my dad pasted away. i'm a long distance truck driver\old time mech. i only am able to drive the truck short distances went i get back home once a month or so. home is Midwest Illinois. i have added SEA Foam to both fuel tanks. Was the injector pulse and the spark tested during the period when it wouldn't start? power present at inj's . no fuel pressure at fuel rail. It wasn't power I was looking for at the injectors. It was trigger pulse. i've also hot wired the frame rail fuel pump and tested pressure, no pressure present at fuel rail,after shuts down. pump in frame runs but don't build pressure. i don't want to bypass the safety, i only want to see if it showed pressure after eng died, removed hot wire after testing hi pressure pump!
? Truck sat for years. Unless reading this wrong it's fine with fuel pressure then drops off to where it wouldn't run so the question is what could cause that? I bet this is wildly soaked with water in the tanks - either and it settles low enough then just gets stirred up from running and takes down a common fuel filter to both and somehow takes time to settle back to where it can work again for just so long. Should be easy enough to take fuel filter out right after it shows that 12 PSI pressure quickly and dump it into a clean glass jar from inlet side and take a good look. Combo of rust color to plain fine clay of rust and possible to likely water will settle to bottom. I'd have to rule that out now with that history. If so I think I'd pick the primary tank only and clean or replace it OR dang do both. OK, you're going to have to systematically see where you have pressure and where you don't and where you are losing electrical if that is what you find. I'm giving you the wiring diagrams for dual tanks. both tanks have been dropped and the front replaced last fall, new tank in front, both tanks had new pumps in stalled in them before put back up in truck. last week i put a can of sea foam in each tank rear one was empty and poured 8 gallons of fresh( bought that day) front tank was almost full and after full can of sea foam would only hold about 2 gallons of gas replaced the new filter that was put in line after the tanks were done,last fall. the new filter was put in two days ago. i also changed the pressure switch on the side of the engine, and fuel relays, at the same time. i have taken the dash selector switch apart and cleaned the contacts increased the spring tension on them (only because NAPA can get a new one). my battery voltage is a constant 13.2 volts through all this and was also replaced last fall. I'm stuck on this being from bad fuel even with all that. Just dump the gas out of the fuel filter but you will need new clips available. This is possibly going ping/pong with what's new and what already got wrecked then wrecks something new. HT is right on to find what the fuel pressure is where but I don't really know how easy that is to do except at fuel filter WHEN it quits not before that so you'd have to be fast or see the problem. Icky problem if so. Socks to fuel pick up in tanks could be part messed up, pumps starved possible new or not they need to be wet with fuel. OK Tom, if you want to deal with this you can finish. It's way too confusing for both of us to be giving advice here. can i put a longer hose on the hi pressure pump before the filter pump all full from the tanks( dry) that way all lines ,tanks ,and pumps are purged. i than replace the filter again with a new one hook all back up and retry? or do you think the pumps my suffer or fail in this? ( center top ) opens on contact! is this the switch that is on the firewall inside the cab by the emeg brae cable on the left of the clutch? has a button on the top? can i cheack it with a volt \ohmm, meter , and was shoud i be looking for in reads? before we go on! i want to thank both of you Men, Hammer time and Tom Greenleaf, for taking the time to help this old guy out i really needed some more help! and may continue till it's back up and running, thanks ever so much!!!!!! the truck was Dads last one before passing on. or i'd probably have gotten rid of it long ago, just can't seem to let the old girl go yet ,only has 43,000 on her! She may out last me who knows i'm close to 70but still drive and work on big truck. The only Ford inertia switches I know of for that vintage would be a red button to push to reset if it popped. So far never found one to only let thru improper current. If you must rule it out just jump it but only while testing then put it back right. Not sure where the thing is for trucks but the idea is to shut down ALL fuel pressure not partly and you get 12PSI unless somehow that can remain and can't think of a way it would but also not watching you test pressures. To get back on track as this isn't a head game just answer how long did this sit under what conditions? Outdoors, indoors and how long? Re the pumps: They don't like running dry - that's known. But most would just quit or stay poor not this time out then work but it's possible I guess?? FYI - regulars here are from all over the place with different experiences. I'm a relentless old phart and newest car just happens to be a 1989. Oldest vehicle that runs fine with a fight is 66 years old back when fuel ran thru a glass bowl and you could see when to dump out the water and rust! It was routine for then and would be handy right now as you could just look and not test a dang thing. If the starting tests are good, disconnect the catalytic converter. This would rule out a exhaust line plug all the way back. Oh, stop with the nonsense. Plugged exhaust isn't going to cause low fuel pressure. 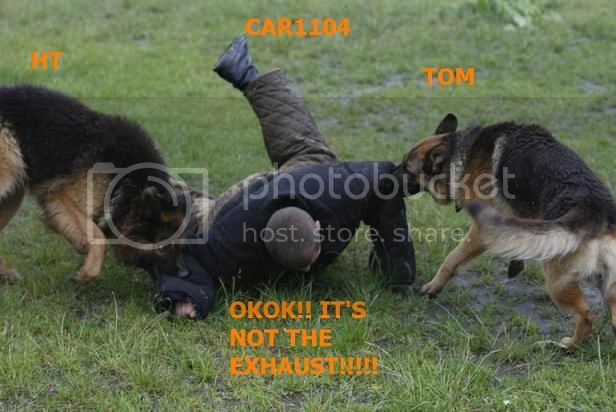 car1104: It's dropping fuel pressure too low to run. Doesn't matter about exhaust anything if inadequate fuel pressure to run at all. At the age you do consider anything that could happen ruling things out. anyone know what the plastic box in frame behind the hi\press pump is? it has what looks like a filter wrench removing tool to open on bottom? Also were i can get a (Ford)Part #E7TZ9B263A it's a plastic tank control switch. I think it works to control which tank the vel runs from.
? Fuel tank selector valve? Does it look like this? That should be a filter with a cover over it.